Everything Everywhere has denied claims it is planning to drop its Orange and T-Mobile brands at the end of the first quarter of next year, saying it will create a new brand to sit alongside them. A well-placed source told Marketing that plans were in place to drop the brands in March next year, backing up a report by Sky News this morning. All existing customers will be migrated across to Everything Everywhere when the Orange and T-Mobile brands are dropped, according to the source. Everything Everywhere did not initially deny the claims, but has now sought to clarify the situation by claiming it will create a new brand to sit alongside its Orange and T-Mobile brands as it seeks to build a portfolio of brands in the style of Unilever. The new brand will be designed to complement the Orange and T-Mobile brands and not compete with their propositions, but Everything Everywhere is not prepared to reveal the name of the new brand or proposition at this stage. It is understood the focus will be on customer acquisition rather than attempting to migrate any of the existing 27 million customers of the two brands across to the new brand. The new brand will launch in October and be based around a 4G proposition. It is understood the new brand will be similar to the Everything Everywhere company name. A spokesman said: "Everything Everywhere is and always has been and will remain our company name – it was never intended to become a customer brand, nor will it become one." 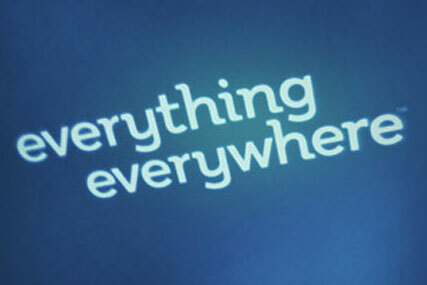 In May, Everything Everywhere applied for trademarks for names including ‘4G Everything’, ‘4G Everywhere’, ‘4G Everything Everywhere’ and ‘4GEE’. The mobile group, formed from the merger of the two networks in 2010, has already rolled out the Everything Everywhere brand with 30 high-street stores that offer both T-Mobile and Orange services.